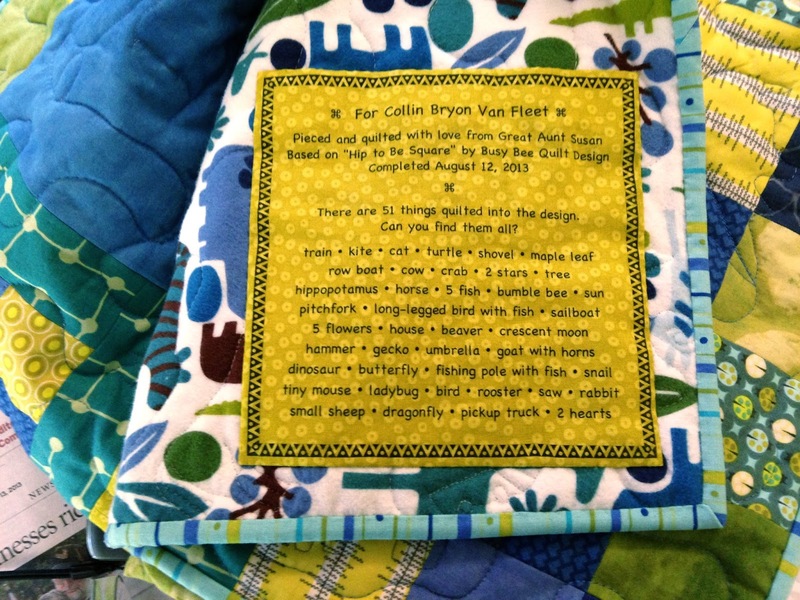 This quilt is for the soon-to-be-born son of my niece, Meghan, and her husband, Tyler. I found most of the fabrics at The Stitchin' Post. As seems to be the case with me, I picked up a few fabrics that just didn't fit into the quilt once I got to laying it out. Oh well, more for the stash! 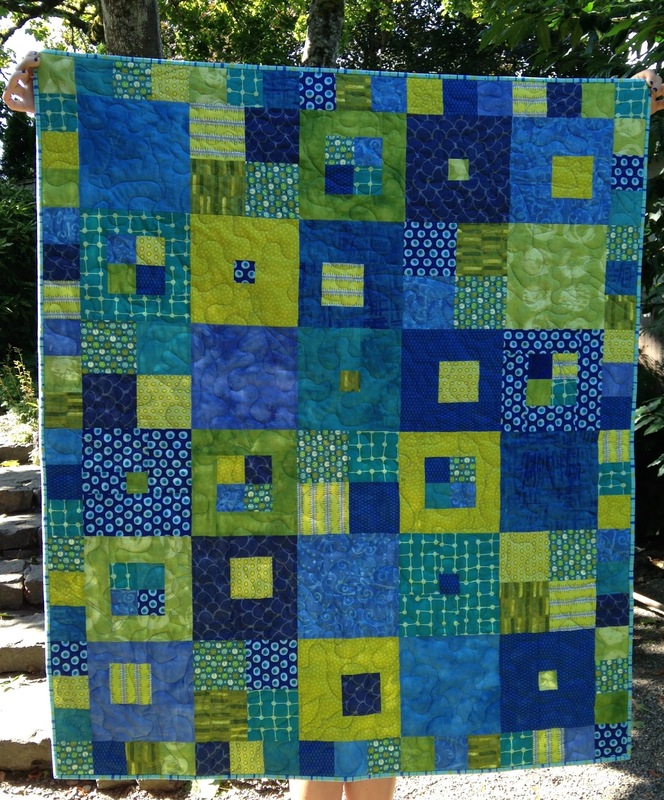 I finished the quilt August 12. 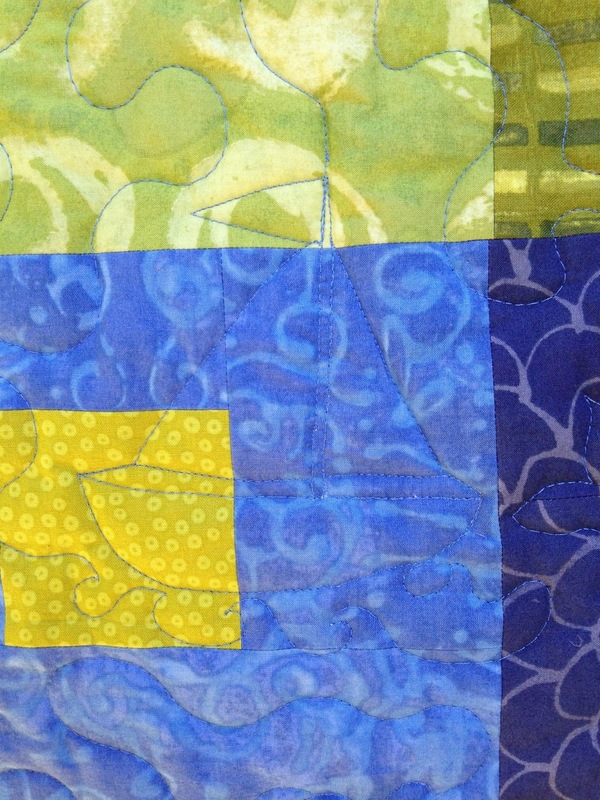 The design was inspired by "Hip to be Square"by Busy Bee Quilt Designs. 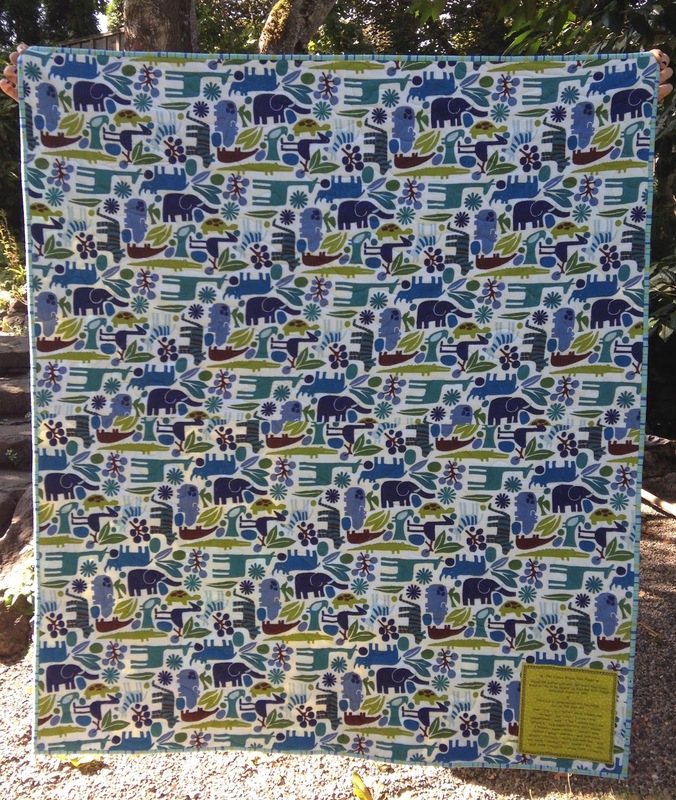 The back is Alexander Henry's "Pool Monkey's Business - 2-D Zoo Cotton Flannel". I saw this at Cool Cottons before I knew what I was going to make with it. I just loved the colors and the animals so I had to have it. Luckily Meghan announced she was having a baby and that was that. The label with the list of what I quilted into the design. Here are a few close-ups of some of the "things"
And I couldn't resist making some onesies to match! 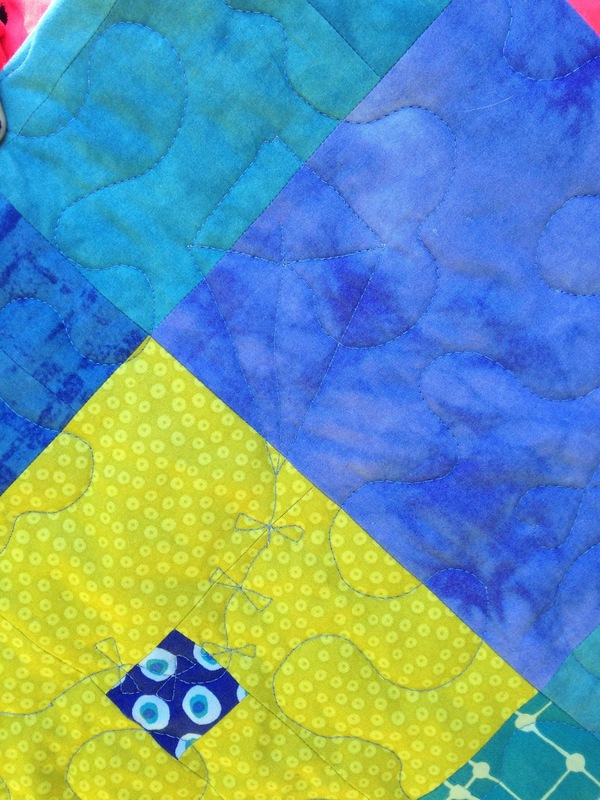 Love the "things" hidden in the quilting. What fun is in store for your great-nephew!